Hello, friends! I hope you had a wonderful August and that as summer closed that you enjoyed many blessings with your family. 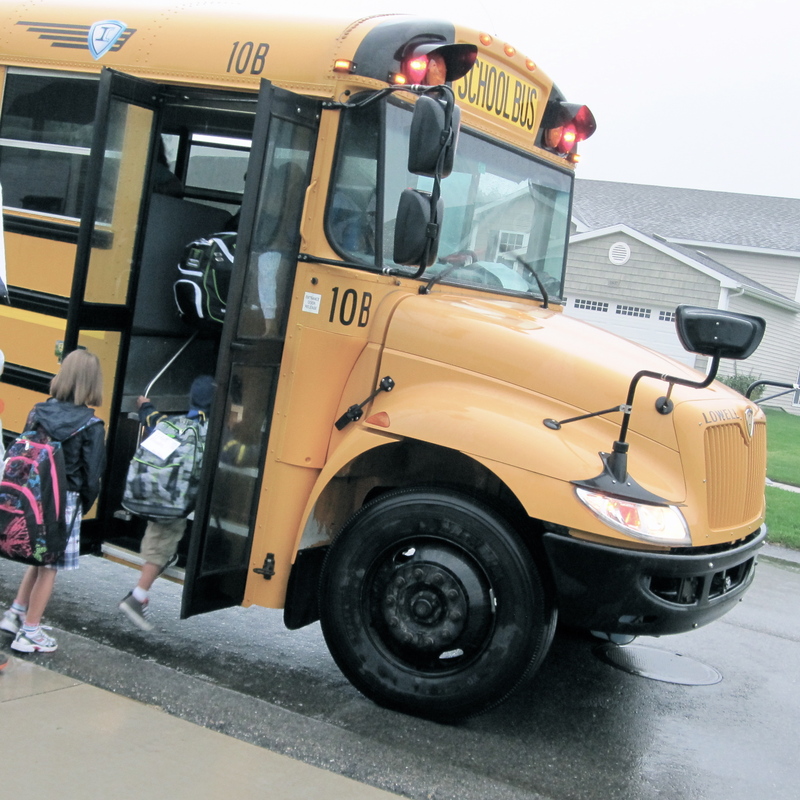 I can hardly believe that my two little ones bounced onto the bus this morning. Where did the past 7 3/4 years go? More experienced mothers warned me that this day would eventually come. And while I don’t exactly miss drool, bottles and diapers, the house is a bit too quiet today, even for me the introvert who relishes silence. So while I sit here in the quiet, praying over what my new routine should look like, I had a few thoughts to share with you. I struggle with worry too. The “what-if” syndrome can grow into an uncontrollable monster. Just recently while obsessing over a situation I realized, I don’t have to think about this. At all. It was freeing. Paul urged us in 2 Corinthians 10:5b to “take captive every thought to make it obedient to Christ.” Captivity is an act of war. And our thoughts are part of a battle plan against us. In the previous few verses, Paul said that we live in the world, but we don’t wage war as the world does; our weapons are not the same. See Ephesians 6:10-18 where Paul instructs us to put on God’s armor, which includes: the belt of truth, the shield of faith, and the sword of the Spirit (God’s Word). When taking every thought captive, saturate your mind with God’s Word. What re-creates you? Find an activity that makes you take a deep breath and say, “Yes, now this is where I belong.” Maybe it’s digging in the dirt planting some fall landscaping. Maybe it’s cutting up some paper and making a card or stringing beads onto wire or stitching fabric or painting or writing or baking. I find when I’m making something with my hands I’m re-creating my insides as well. We are made in God’s image, and He is a Creator. So it makes sense that we feel a sense of fulfillment and purpose when we create. When taking care of yourself, create something with your hands. A wise high school teacher once told me that when I was feeling discouraged to go help someone else. “Write a note of encouragement,” she said. “Find someone else who is having a tough time and reach out to them.” She urged me that helping others would help me get my eyes off myself and also lift my own spirits. In Acts 20:35b Paul reminds us that Jesus said, “It is more blessed to give than to receive.” The word blessed also means happy. When you’re struggling to find a new rhythm to your life and you feel like you’re nearly drowning in a sea of changes, think of 2 or 3 people that you can reach out to. Write a note of encouragement and stick it in the mail. Call someone up and invite her to coffee just to see how she’s doing. Take care of yourself by taking care of someone else who is struggling right now. Ok, time to take a deep breath, and get on with this new day. How do you handle life changes? What helps you get into a new routine? My oldest went off to Kindergarten today. Strange that he’ll be in school all day five days a week. So strange. I hope you both had a good day to today Jessie! It is so strange, but everyone will get into a rhythm soon. You won’t believe how much he grows up this year! Great tips Amelia. I can’t imagine how quiet your house was today…mine felt super quiet and I only put one on the bus! Your hubby is right…you will find a new routine soon and I bet you’ll start to enjoy that clean house!!! And your writing…more time at Ella’s! I just can’t believe how fast the time flies! I have a lot of house catching up to do since I barely did any housework while I wrote the book! lol! I’ll have to go to Ella’s so I can actually write! So glad your little on had a great day too! These are so simple and practical! Taking the eyes appropriately on Christ, on self for self-care, and on others are rightly in order. It echoes “Love God with all your heart and mind….love neighbors as yourself.” Thank you dear Amelia! Thank you Brenda! I put this to good use today too! Sending the kids to school is God’s reminder that this is your time to be YOU!!! You will always be “Mom” & “Mrs.” don’t forget to be Amelia.